“I have no greater joy than to know my children are walking in the truth” (3 John 1:4). What could be better? Seriously, I cannot think of any greater joy than knowing our sons and their wives are walking in God’s truth and teaching their children, our SIX grandchildren, to also walk in God’s truth as they read God’s Word and do God’s Word. My precious family, far be it from me that I should sin against the LORD by failing to pray for you! There are MANY scriptures about Jesus praying. And guess what Jesus is doing right now? Interceding for you and me! (See Romans 8:34). Prayer is a mystery to me. Truly it is. Yet, I’m so thankful for the privilege and honor of boldly coming to my prayer closet to meet with Him…my Abba Father and me…Friend to friend. He longs for us to spend time with Him. He desires it sooooo much that He sent His one and only Son–JESUS– to open the “door” to His Throne room for us to enter in. As I think about that verse alone…I have one word for you and me…PRAY! Use this month’s Scripture Prayer Calendar to pray for your loved ones. 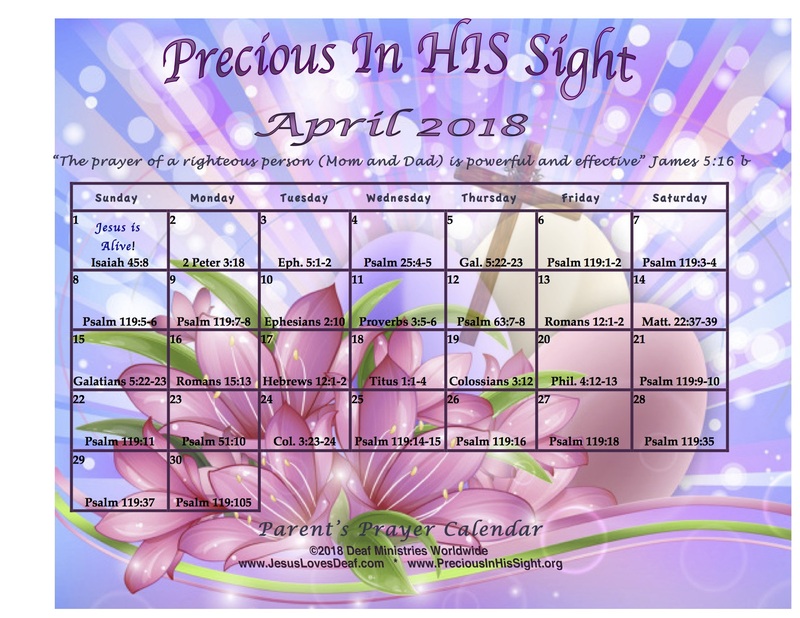 Click on the Calendar and the Calendar opens BIGGER in a separate window so that you can read the scripture references easily. Look up the verse for the day and turn it into a prayer. The Calendar has helped me, and many other people, faithfully pray for our loved ones day-after-day, month-after-month, year-after-year. I print my Calendar and keep it with my Bible. Feel free to print the Calendar, too. Join me as we pray for our loved ones…THE DOOR TO THE THRONE ROOM OF ABBA FATHER IS WIDE OPEN. THANK YOU, JESUS! MOTHERS, HAVE A BLESSED GOD-CENTERED MOTHER’S DAY.